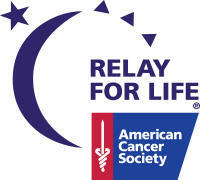 Relay For Life is the signature 12 hour fundraising event for the American Cancer Society. At Relay, we celebrate survivors, remember those who have lost their battle with cancer, and fight back against this disease that has already taken too much. The American Cancer Society is the nationwide, community-based, voluntary health organization dedicated to eliminating cancer as a major health problem by preventing cancer, saving lives, and diminishing suffering from cancer, through research, education, advocacy, and service. The American Cancer Society Relay For Life represents the hope that those lost to cancer will never be forgotten, that those who face cancer will be supported and that one day cancer will be eliminated.